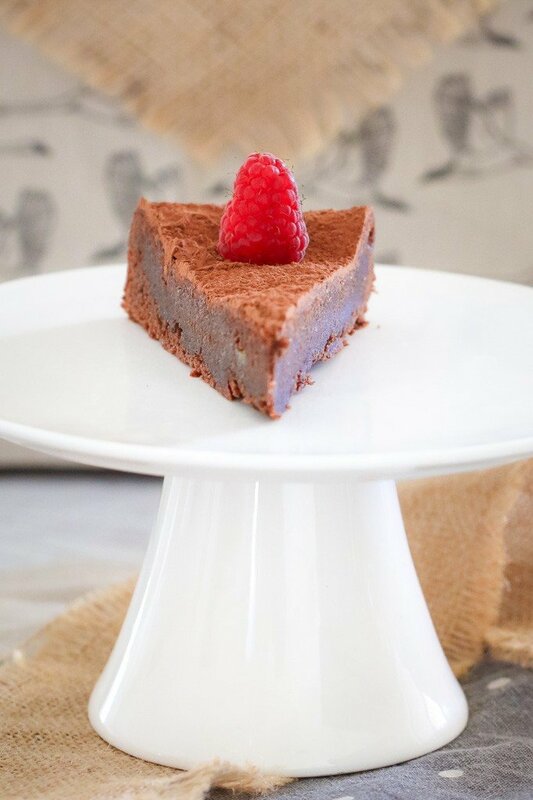 The perfect decadent dessert… this Dark Chocolate & Almond Torte is rich, fudgy and totally delicious! A chocoholics dream! If you’re a chocoholic, then you’ve come to the right place. If you LOVE dessert, then hello there! 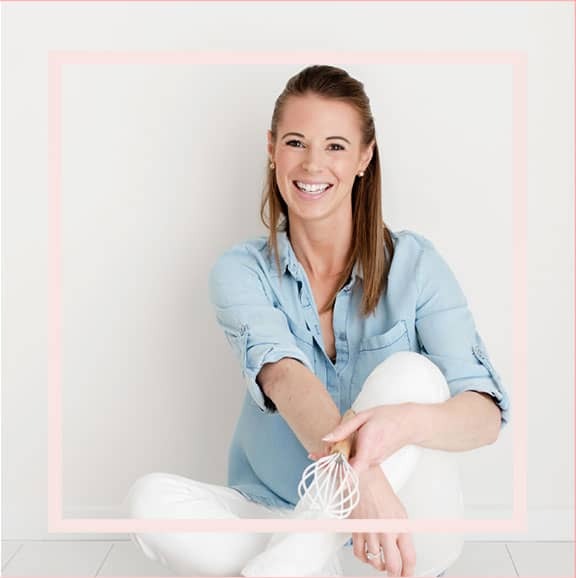 This is definitely the spot for you! 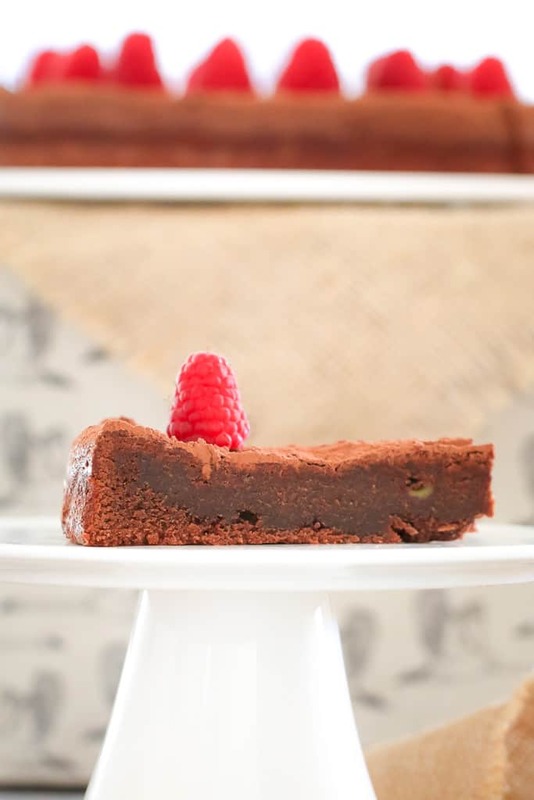 Let me introduce you to one of my all-time favourite desserts… this Dark Chocolate & Almond Torte! 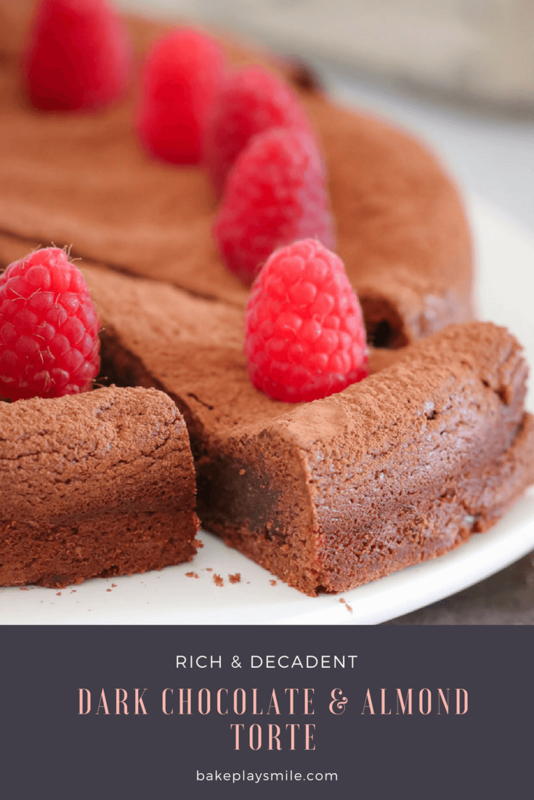 It’s rich, it’s super decadent and it’s a total crowd pleaser. I’ve never met anyone who didn’t love this wickedly delicious treat. You know what else is really fab about this dessert? It’s actually not overly sweet. The dark chocolate balances out the flavour and makes it super chocolatey, but not sweet (if that makes sense!!??). 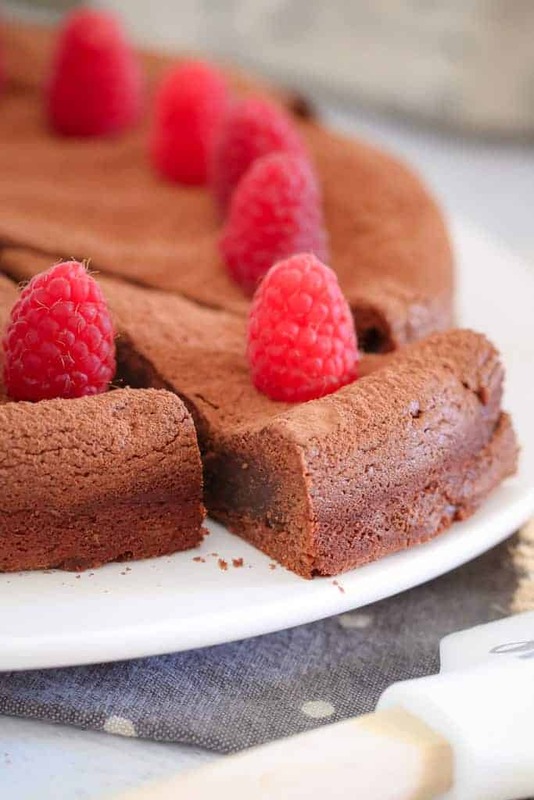 You can serve this Dark Chocolate & Almond Torte warm or cold. I must admit that I’m a massive fan of eating it warm with a scoop of vanilla ice-cream. So, soooooo good! Oh and if you can grab a punnet of fresh raspberries, totally do it. They take this dessert from yum to totally freaking YUM! 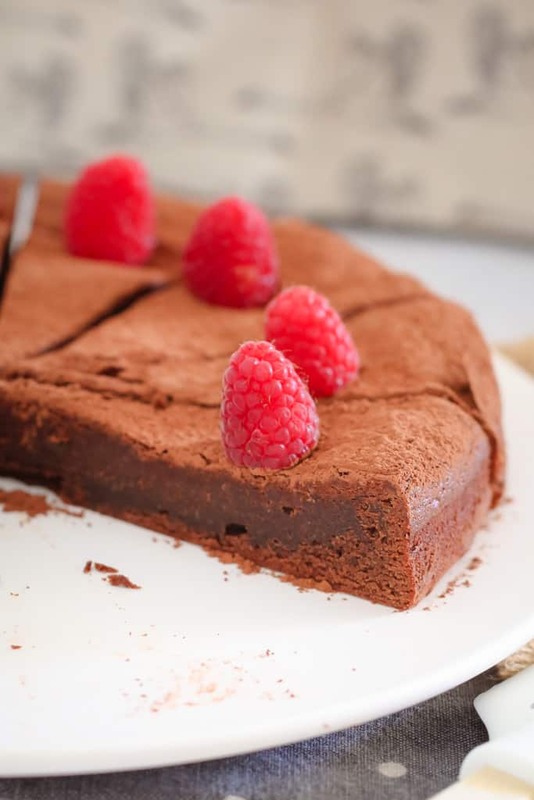 So there you have it, my rich, chocolatey and oh-so-good chocolate torte. I promise this one will become a fave in your house too! 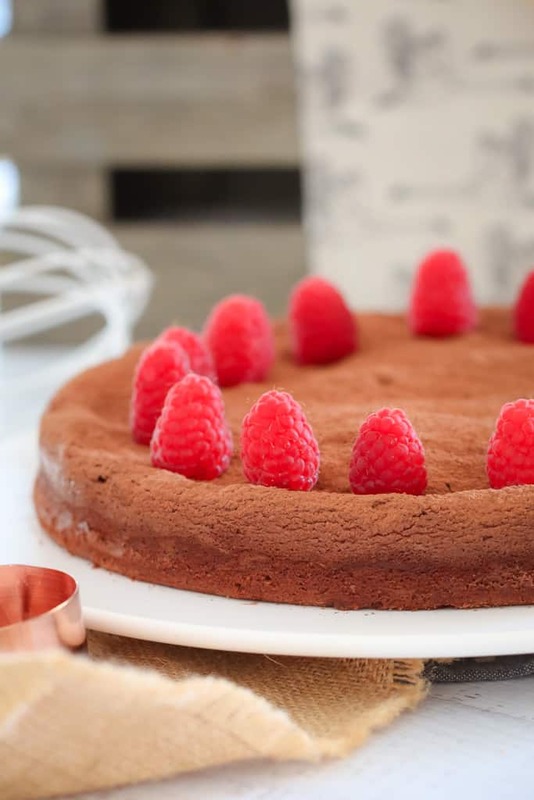 Click here to check out my complete dessert collection for more yummy recipes. 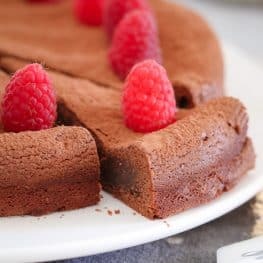 The perfect decadent dessert... this Dark Chocolate & Almond Torte is rich, fudgy and totally delicious! A chocoholics dream! Preheat oven to 160 degrees celsius (fan-forced). Grease and line the base and sides of a 23cm springform tin with baking paper. Melt the butter and chocolate together in the microwave on 50% power for 2-3 minutes (stirring every 30 seconds until melted). Set aside to cool. Beat the caster sugar and eggs together until pale, creamy and slightly thickened (this will take approximately 5-8 minutes). Gently fold through the cooled chocolate mixture, ground almonds, plain flour and salt using a large metal spoon. Bake for 30 minutes or until set in the middle (the top will form a lovely crust). Allow to cool in the tin for 15 minutes before removing to a serving plate. 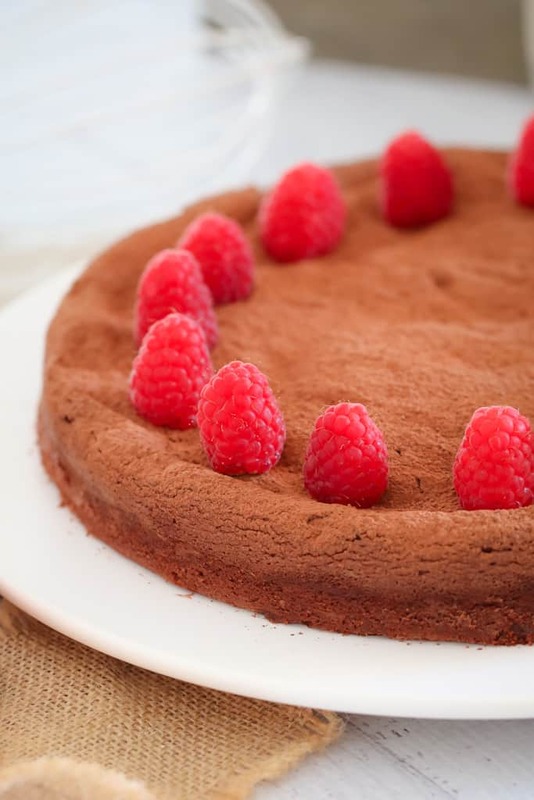 Serve dusted with cocoa powder, fresh raspberries and ice-cream. Melt the butter and chocolate together in the Thermomix on 50 degrees, 3 minutes, Speed 2. Set aside to cool. Wash and dry the Thermomix bowl. Insert the butterfly and add the caster sugar and eggs. Beat on Speed 4, 6 minutes. Reduce to Speed 3 and with the butterfly still turning, slowly add the cooled chocolate mixture, ground almonds, plain flour and salt. Mix on Speed 3 until combined (you might need to scrape down the sides of the bowl partway through). 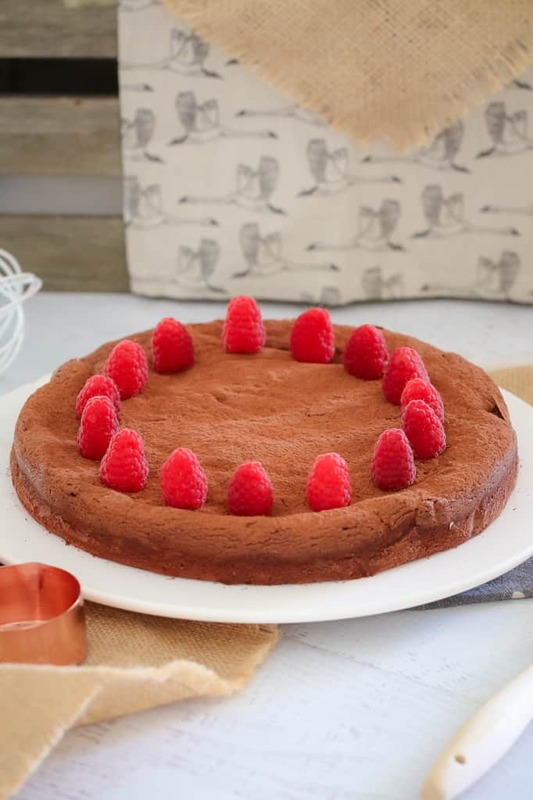 This dark chocolate almond torte looks beautiful and so pretty!Thanks for sharing!! !